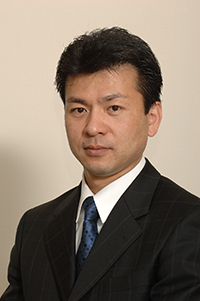 Greeting from Director of Osaka Vacuum Chemical Co., Ltd. & guidance about management policy. We manage activities with united efforts among employees on the principle that "enhance our aggregate power with altruism, target the best with ingenuities, pursuit employees' happiness both on materially and spiritually and simultaneously contribute the developments of our societies"
Even in a hard circumstance, our employees solve with united efforts considering the other parties' benefits, and always act with the "Customer First"principles. We have aimed the best as research and development company with our ingenuities. We will continue to effort aiming better research and development company to provide the best quality. We will effort and aim in character formation so that we can really be help to our society and enable to practice altruism to accomplish our principle "pursuit employees' happiness both on materially and spiritually" and will effort to accomplish in pursuit employees' happiness both on materially and spiritually. We would like to contribute to our society by above mentioned managements activities. We are looking forward to your guidance and encouragement. We keep going and having hot & sharp passion for inventions. We overcome every difficulties and penetrate quality-first policy. We provide the best customer satisfaction with quick response. We break the status quo and aim the best. We avoid our loss or minimize it on trouble-free. Every employees effort to improve our abilities. We apply accurate ISO systems. We build systems to apply overseas factories. As a company that concerns in synthetic Surface finishing manufacturing; we recognize it is the most important subject that we should protect environments from the global view, with conscious of responsibility to protect environments, and effort to protect environments. Full use of resources & energy. In order to reduce CO2 we effort for production activities in conscious of saving resources & energy based on environmental concept. We set environmental objects and environmental targets, accomplish improvement activities, evaluate achievement level, and modify to effort continuous improvements of protecting environments. We obey regulations concerning to this project and other requirements we have agreed. We deal with educational activities to improve consciousness about environmental protections. We let employees and people in charge of company activities in the factories know our concept for environments and open to the public. Whole company : Less than one indication number of 5 check list. Production Sec : Reduction in electricity by 10%. Sales Dept : Hilighting monthry our effort to customer. Development Dept : Keeping Repairing the tooling time below 20 hours per product. Inspection Sec : Reduction in utility costs by 10% means of optimization of prodution costs of inspection. Produt Managiment Dept : Suggestion rationalization of tranportation once a month. Quality Control Dept : Suggestion improvement of EMS once a month. Copyright (C) OVC. All Rights Reserved.